DNSSEC is a way to digitally "sign" your DNS data, so that you know it has not been interfered with by would-be attackers. It verifies the authenticity of your DNS Records. If you have been provided with a DNSSEC record, you can use the following steps. Porkbun's authoritative DNS does not support DNSSEC, however, we can install the registry-level record for you as provided by your third-party DNS provider (such as Cloudflare). Locate your domain and click the drop-down list to the right. 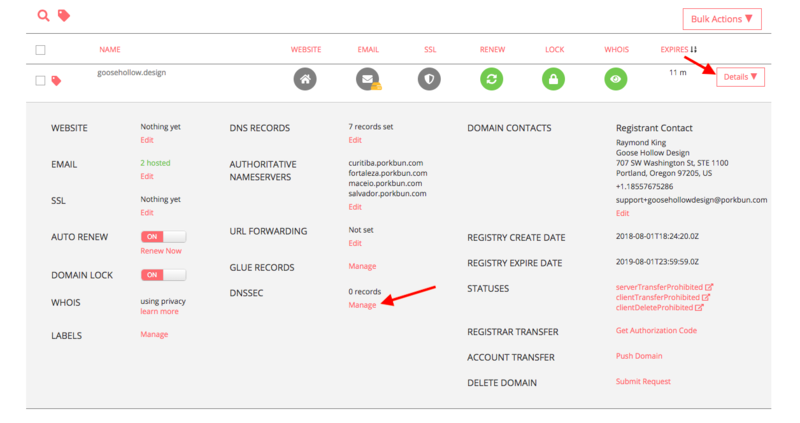 On the menu that appears, click the "Manage" option next to "DNSSEC". The following step should lead you to the "Domain Name System Security" screen. Here, you can enter the required information, then select the green "Create" button at the bottom left of the page. That's it! The DNSSEC is created. The following is a brief explanation of what each entry means. Not all registries support keyData. 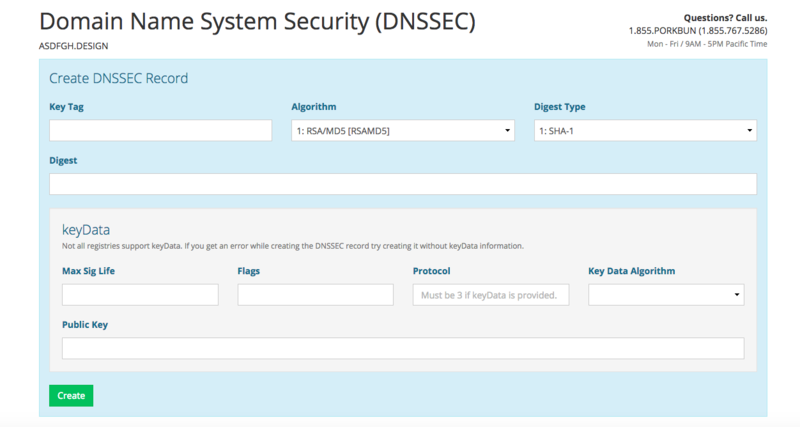 If you get an error while creating a DNSSEC record, try creating it without keyData information.